Home » Eyes » Eyeshadow » Dior Couture Golds Eye Shadow Palette is gorgeous and my best purchase of 2011! 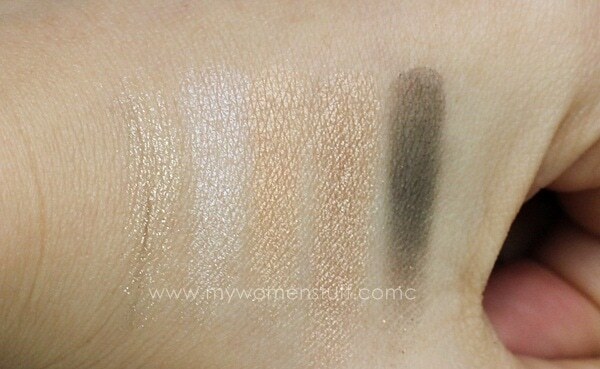 Dior Couture Golds Eye Shadow Palette is gorgeous and my best purchase of 2011! I’m feeling a wee bit jaded with all the cosmetics releases popping up almost daily and earlier and earlier. Don’t you feel that way sometimes? Everything just blurs into one another and by the time the collection/product is launched, I’d have forgotten about it. When I saw pictures of the Dior 5 Couleurs Eye Shadow palette in Couture Golds (554) popping up sometimes in October, I just glanced at it and didn’t think too much about it. However, I recently decided I need (yes need!) a gold shadow that isn’t brassy or orange and all of a sudden, my mind strayed to Couture Golds. I went to the counter, swatched it, decided that although it was a bit shimmery, I could handle it and wanted it. Then, much to my chagrin, I was told it was out of stock. I started at Isetan The Gardens. Nevermind, I thought, there’s Robinsons. Out of stock too! 5 minutes later at Metrojaya I was told the same thing. Dammit! Was Couture Golds never to be mine? Fortunately, the final department store in MidValley had it! There were a few palettes as I recall (I peeped into the drawer as the SA was extracting mine 🙂 ) and even when I bought it, I still felt a little ambivalent about it. But this is one of those special palettes that just creep up on you, grab a hold of your heart and won’t let go. I absolutely love this palette from the day I started using it! I can quite easily use this one every single day and never ever get bored because I think its a gorgeous palette that can be blinged up for night, neutralized for the day and isn’t over the top at all. I can, in fact, see myself hitting pan on this (tragic if I do because its limited edition but there you go!) Ahh… this must truly be love!Couture Golds (554) palette is a limited edition release for Christmas 2011. I was a little afraid initially that the golds may be over the top. Golds tend to be that way, but they aren’t. The colours I have shown here are the best I can reproduce. They look a little washed out but I can very safely say that they are not overly warm. I do not hold well with warm tones on the eyes and this one is quite perfect. Yes, even that warmish looking gold shade in the top right corner. 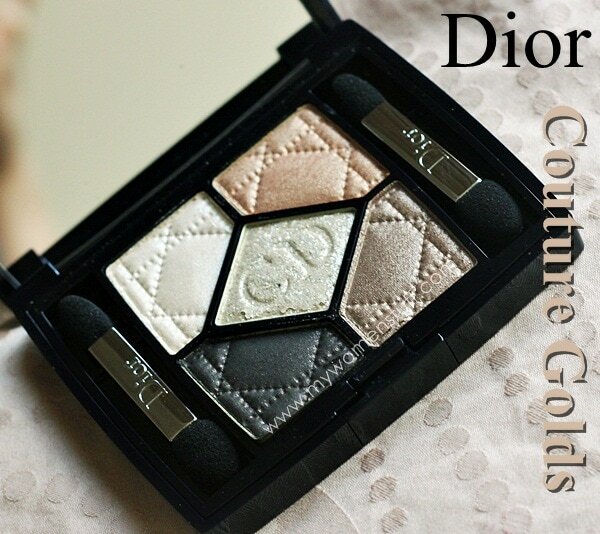 What you get in a typical Dior quint is 5 powder eyeshadows of 3 different textures – matte, shimmer and glitter. The testament to the quality of the Dior quint is that there is absolutely no fall out. Yes, even that glittery gold bit doesn’t go from eye lid to cheek in 2 seconds. I hate it when I place shimmer on my lid and by mid day, find its migrated elsewhere on my face. This doesn’t happen with Couture Golds and I do not use lid primers. You can see from the swatches that the colour tends to be a wee bit sheer. If you don’t like textures like this, you will easily pass this over. However, I will ask that you reconsider because it applies very prettily on the skin. The white shade has the least shimmer and the dark brown shade, swatches matte with bits of gold glitter and takes at least 2 layers to get it looking as it does in the photo. That brown shade is the one that has a lot of people moaning about how awful it is and how awful the palette is so I do think it comes down to expectations. I had none LOL! I find that these shadows, like many Dior eyeshadows, apply better with a brush than they do with fingers. That was my mistake when I first started playing around with Dior quints. I was always too lazy to use an eyeshadow brush. With this one, I use an eyeshadow brush with dabbing (not swiping) motions, and you’d be able to easily pack on color on your lid. I get a look that’s something like this with just a quick sort of application. Nothing fancy. Just the dark brown in the outer corners and outer part of lower lid, and the gold in the top right corner from inside and over whole lid, blended with brown. Touch of the white to tie it in together (ignore brows, boo!) and this is what made me fall in love with it. Its just too easy to get a pretty looking eye! If you want something more dramatic for the night (which I executed but did not take pictures of) deepen the dark brown, apply a layer of sparkly gold (middle shade) over the eye and its very pretty! Nothing over the top at all despite how blingy it sounds. And because I can, here is the same eye from a slightly different angle. I read reviews saying it was muddy but I didn’t experience that muddiness. The gold shows up prettily, just not in a super blingy way which I guess again, depends on your expectations. I love the subtlety and the colour and how it blends together to give a glow to the eye area. Here’s how I would wear this palette in the day. Same set of pictures from the above close ups. PREVIOUS POST: Help me decide: Rockport Shoes – Yay or Nay? It’s super pretty! I passed on it only because I have the 5 Golds quint from last year, which is really similar! Arrrrggggghhhhhh I have been trying to find a gold that isn’t warm and this looks like it might work for me! I wonder if it’s still at the counter here? But it’s so shimmery! Hmmmm I need to go look! I’ll be sure to check this out. Like LeGeeque said, I need this like a need another arm. Ooh I hope you manage to find it.. somehow. I think some new stock came in this week! Well no, the Naked palette has different colours in different textures 🙂 Inglot shadows are more value for money I guess. But since I never go to that part of town, I’d forgotten about their existence LOL! I love the cool toned golden shades a lot, and I can totally see why this is going to be one of your most reached palettes. Lucky you! Um, how do you get prettier with every photo? 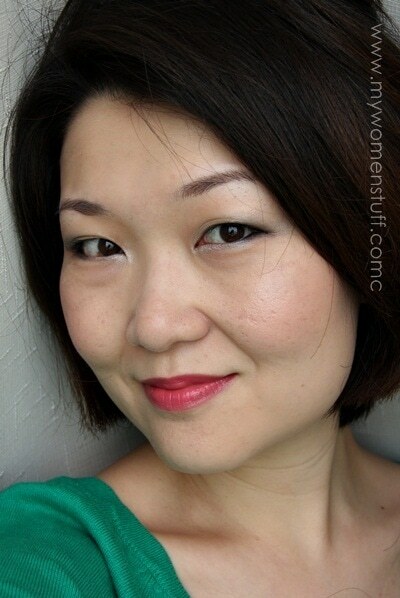 You look stunning with the green top, red lips, and shimmery neutral eyes! I used to do really dark smokey eyes (even for daytime) last year, but now I’m more into subtle, neutral looks…this one definitely fits the bill. The gold looks pretty paired with the green top. I will pass on this one coz I have too many gold eye shadows on hand and too many barely used Dior eye palettes too. I like this too!! Very nice…Not too warm not OTT. Definitely versatile! I usually prefer more pigmented eyeshadows but you’re really tempting me to check this out. I really love the look you did with it, it’s beautiful! 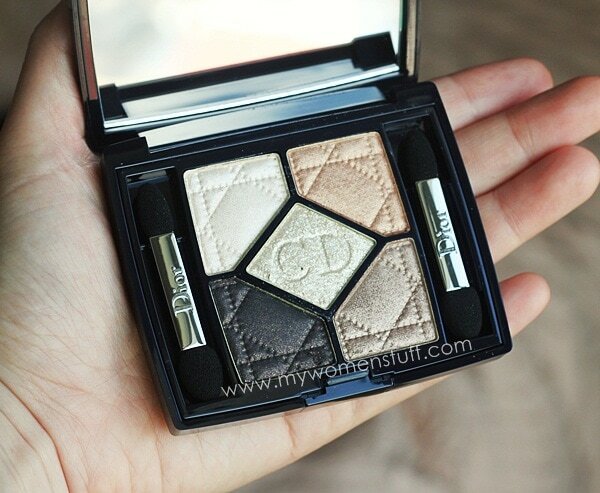 This is a palette you can use again and again – a very chic look! Indeed! I need more of such palettes 😀 Thanks! This is a very pretty palette. Suitable for everyday look. Got me interested! Must go make some swatches at the stores asap before they are OOS!! !